Blue, White and Red Hype Sticker "Images by Iconic French Photographer Jean-Pierre Leloir, 180 Gram Pure Virgin Vinyl, Legendary Jazz Albums, Deluxe Gatefold Set, Limited Edition." On back cover "French Photographer Jean-Pierre Leloir (1931 - 2010) captured some of the most iconic images of jazz life in France during the 1950's and 1960's. 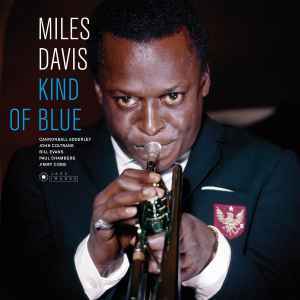 This collection compiles some of the best jazz albums ever in limited editions that showcase candid and rarely seen photos taken by Leloir of some of the perennial names of the genre."